About Us | David L. Johnson & Co. The founder and principal of David L. Johnson & Company located in Holden, Massachusetts. He has an accounting degree from Becker College and earned the Enrolled Agent (EA) designation from the United States Treasury on August 5, 1993. Following a progressive career in accounting and business management, David formed his own accounting and tax firm to provide accurate and reliable services to individuals and business taxpayers. 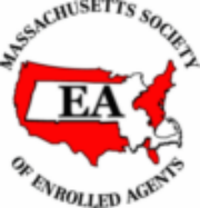 David is currently a member and past president of the Massachusetts Society of Enrolled Agents (MaSEA) and a member of the National Association of Tax Professionals (NATP) where he currently serves on the Board of Directors of its Mass/RI state chapter. In addition, he holds active memberships in the Accreditation Council for Accountancy and Taxation (ACAT), the National Society of Accountants (NSA), Better Business Bureau (BBB) and Wachusett Area Chamber of Commerce. Tracey has been preparing individual tax returns since 2010. She earned her Enrolled Agents License in February 2015. Tracey holds a Bachelor of Science degree from Southeastern Massachusetts University (’87). To maintain their Enrolled Agent Licenses and to stay current with the ever changing tax laws, they participate annually in continuing education courses and subscribe to a variety of tax and accounting publications.